JOHANNESBURG – Uganda’s U-23 midfielder, Lawrence Ndugga has traveled to South Africa seeking greener pastures. The former BUL FC player is understood to have departed for Johannesburg based side, Highlands Park Football Club where he will undergo trials. Nduga has been featuring in the Botswana Premier League with Shooting Stars FC for the last two years after joining them from Nkwazi FC of Zambia. At shooting stars in Botswana, Ndugga has registered 5 goals and 8 assists in the two seasons he has been there. He has previously played for Kira young, Bright stars FC and BUL FC in the Startimes Premier League, Uganda. 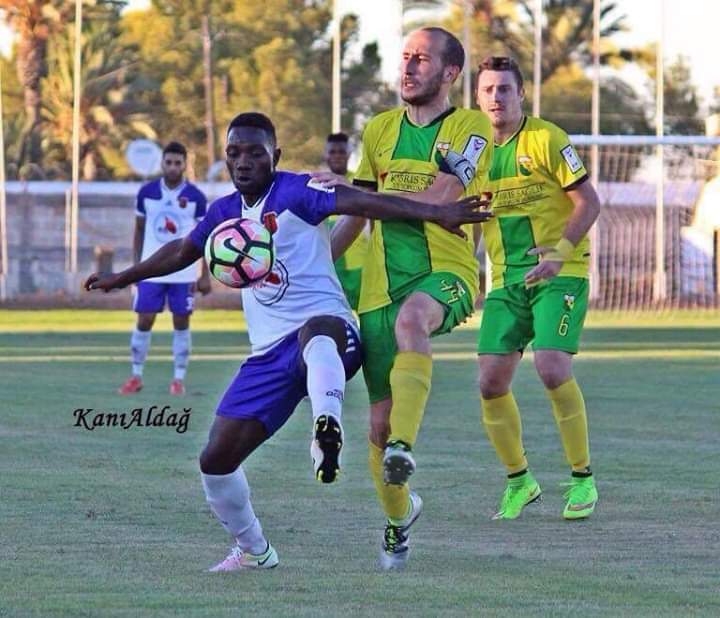 He also had a semiprofessional stint with Cyprus Club, Mormenekse F.C during the 2016/17 season which did not last long. “All i s well since i arrived here at Modderfontein Park, above all have already adjusted to the weather here. I just pray i pass through these trials.” Said Ndugga in a Facebook post. In case the trials become a success, Ndugga will join other Ugandans in the South Africa top tier including Dennis Onyango ( Mamelodi Sundowns), Geoffrey Walusimbi (Kaizer Chiefs) and Allan Kateregga( Cape town city). Highlands Park currently sit 12th on the Premier Soccer League (PSL) 16 team log.